New Orleans Saints quarterback Drew Brees and his wife Brittany are helping families affected by major flooding in Texas. The couple teamed up with Convoy of Hope and donated $50,000 to assist families as they recover from the flooding. Convoy of Hope has already distributed food, water and other much-needed supplies in Texas communities that flooded. The gift from the Brees’ also enabled Convoy of Hope to send multiple disaster response vehicles into the affected areas including a mobile command center, heavy equipment truck, refrigerated trailer loaded with relief supplies, two debris removal trailers, a debris removal van, a volunteer coordination trailer, equipment trailer and two field utility vehicles. 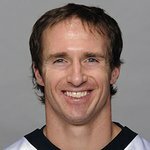 Brees and The Brees Dream Foundation first partnered with Convoy of Hope after an EF-5 tornado slammed Joplin, Mo., in 2011. Since 2013, the organizations have continued to work together in recovery efforts following Superstorm Sandy.